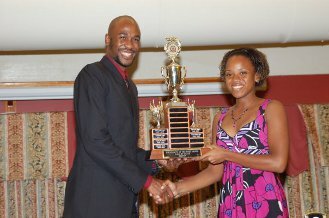 Each year the Sports Unit hosts a Sports Awards Ceremony to honour the University's student-athletes. Our student-athletes are also recognized by the University at an annual Students Awards Ceremony. For more than fifteen years, this wonderful event has been a high point of the University’s academic year. This joint academic and co-curricular awards ceremony is a time to celebrate excellence in academics, leadership, service, sports and culture. Students who distinguish themselves at these awards have managed to combine the basic ingredients – leadership, service to others, integrity and strength of character. These student awardee are exemplar par excellence and are testament to the holistic environment the UWI strives to create for all their students.